Have you been saving for your kids’ college fund? Do you even know where to start? Sallie Mae and Ipsos recently released a report on how Americans are saving for college. In it, you will have the opportunity to see what other parents across the country are doing and see how your savings plan compares. Financial Bin spoke with Rick Castellano, a spokesperson for Sallie Mae, about the report and what it means for American parents. Financial Bin: How soon should parents be saving for their kids’ college fund? When do they actually start saving? Rick Castellano: According to How America Saves for College 2018, parents begin to save when their child is around seven. That’s been fairly consistent throughout the history of this report. While each family situation is different, it’s never too early to start planning and saving for college. And the benefits of doing so are clear. FB: What is holding those who aren’t saving back? Is it just lack of money or other priorities? RC: The good news is, saving for college is becoming more of a priority. After saving for general needs and emergencies, parents earmark funds for college more than for any other specific purpose, alongside retirement. Only 10 percent of parents plan to tap their retirement funds for college, down from 20 percent in 2016 — the last time this report was published. And there’s a general sense of confidence and optimism with parents this year. Nearly nine in 10 parents who have a college savings goal (86 percent) are confident they’ll achieve it. Those who aren’t saving for college, however, feel they don’t have enough money (52%), or they think financial aid will cover costs (27%). Others reported they haven’t gotten around to it (25%), think their child is too young (21%), aren’t sure of the best options (21%), or they are prioritizing other savings (18%). FB: What do you want parents to take away from this study overall? RC: Creating a plan to pay for college can absolutely pay off. Parents with a plan to pay for college have saved more than twice as much as those without a plan ($22,169 vs. $9,208). Also, our report found that a majority of parents believe paying for college is a shared responsibility between the parents and students, yet fewer than half have shared that expectation with their child. For parents, think about having that talk and setting expectations. We also know that when a child knows that money is set aside for them for college, they are more likely to attend. So again, clear and open conversation about saving, planning, and paying for college can make a big difference and help families enter this major life decision with eyes wide open. FB: What are the best ways to save for college? RC: Parents should look for ways to make saving for college a habit. To keep their college savings on track, six in 10 parents (61 percent) contribute a set amount to their college fund on a regular basis. To find more money for college 30 percent of parents have cut back on discretionary spending, and 27 percent have reduced their household expenses. Parents should also explore savings vehicles that can make their money work harder for them. It’s particularly encouraging to see this year, marks the first time tax-advantaged 529 college savings plans hold the largest share of college savings — 30 percent, nearly double the 17 percent reported in 2016. 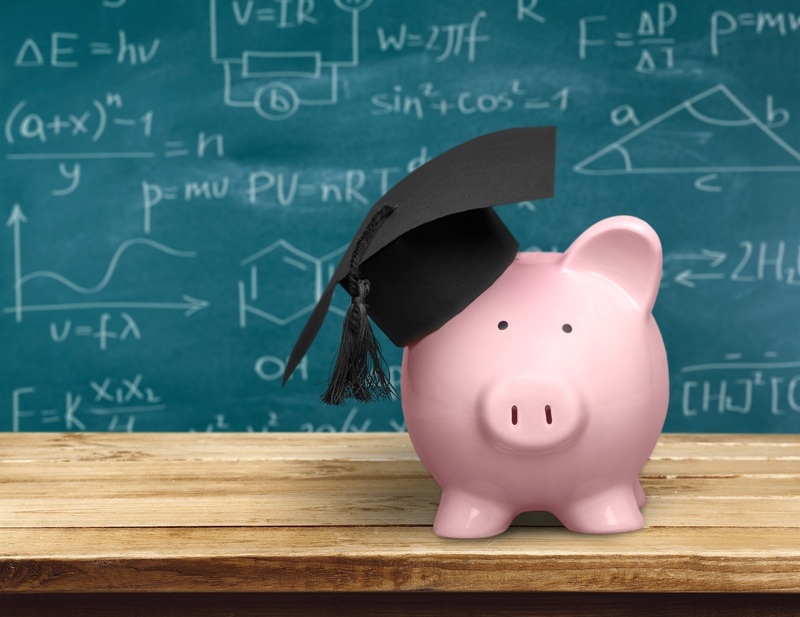 Goal-based savings accounts like SmartyPig by Sallie Mae can also help families make saving a routine and get them on the right track to saving for college and other goals. FB: Although the $18,000 savings figure is the highest since 2013, shouldn’t parents be saving much more to help their children avoid student loan debt? This year’s report not only illustrated optimism in parents but also some realism. It’s great to see savings at the highest level in the last five years of this report and the majority of parents confident they’ll meet their savings goal of $55,342. That said, we all know college costs more than that, but parents seem more realistic about how much of that total cost they need to cover with savings. It’s more likely that parents will save one-third of the cost of college; pay for another third out of current income, and finance the final third with loans, grants or other assets. And as I mentioned earlier, parents are expecting their child to have some skin the game. Fifty-nine percent say paying for college should be a shared responsibility between the parent and child, compared to 51 percent in 2016. FB: Where can readers learn more about the findings and saving for college? RC: The full report and infographic are available at www.Salliemae.com/howamericasaves. In addition, Sallie Mae and Wise Bread will co-host a Twitter chat to discuss the report on Thursday, May 24, at 3 p.m. EDT. Follow the chat using #HowAmericaSaves and #WBChat. For free tools and resources on saving, planning, and paying for college including scholarship search tools for undergraduates and graduates, our college planning calculator, and more visit www.salliemae.com.